Like many software companies, Group Market Share used the same brand name for their flagship product and the company itself. However, they were looking to use their technology in new sectors and wanted a branding strategy to accommodate this growth. Visible Logic began with the recommendation to maintain the name ‘Group Market Share’ for the company’s flagship product, and rename the company itself. Retego is Latin for open, uncover or disclose. 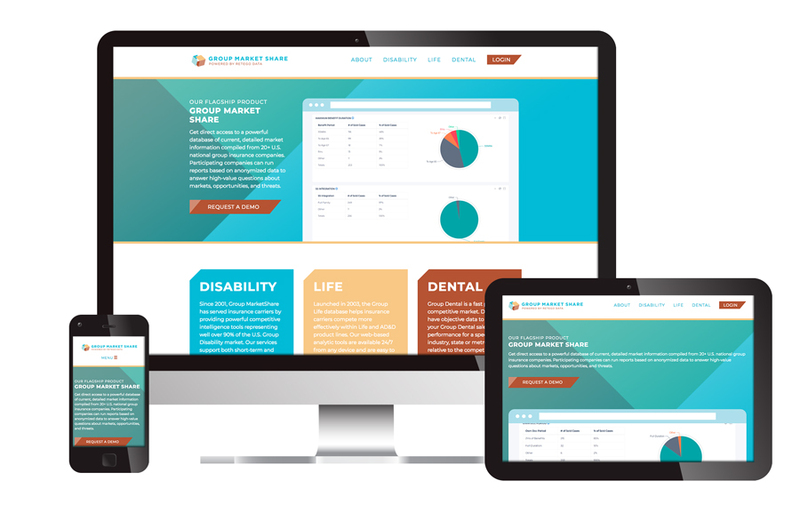 The name draws from the fact that the Group Market Share application allows insurance companies to share market information in a secure way. 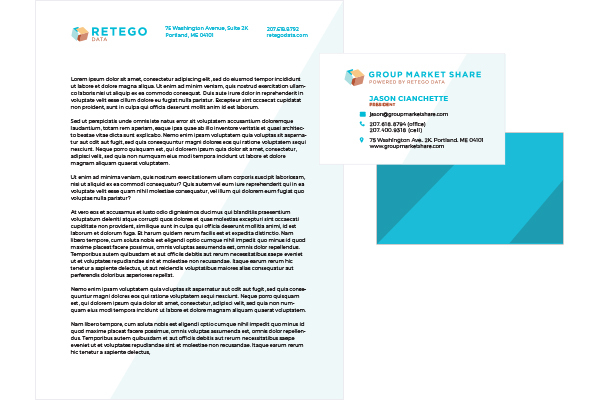 Retego Data became the full name, allowing them to secure a dot-com domain name. Visible Logic next design the logos that would reflect the same traits as the name: an opening or disclosing of data, but in a structured, secure way. 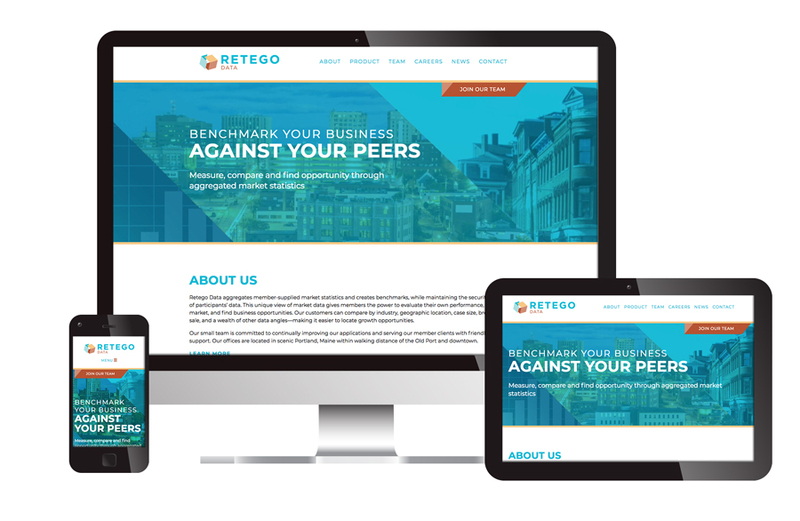 Once the branding was established Visible Logic worked on creating a set of websites, one for Retego Data the company, and a separate product website. The new sites are easy to navigate and connect visually. Both sites have the same color scheme established in the logo, with the Group Market Share product site adding a ‘Powered by Retego Data’ to the logo. Both sites use video animation to draw viewers into the site. The corporate site is focused on employee recruitment. 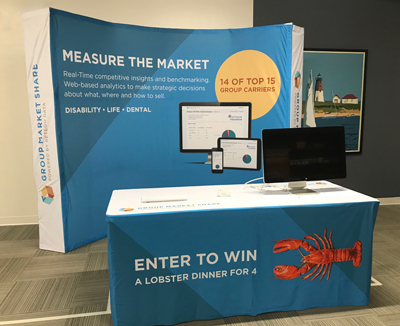 Retego is located in Portland, Maine and they wanted to showcase their beautiful location to attract new developers to their growing business. The corporate site was developed in WordPress by Visible Logic and will be easy to expand as their product line grows. For the software-focused website, Visible Logic provided the design and writing and then Retego’s team built the marketing pages directly into their application. Along with the logo and website, Visible Logic worked on other marketing pieces such as business cards, letterhead and tradebooth graphics.